Last fall Chicago Public Schools cut a unit that helped families sign up for public assistance. Pictured here is a Juana, an undocumented immigrant and parent who got help from the unit and says she can now afford to buy healthier food for her family. Just over a decade ago, Chicago Public Schools launched a small office to identify low-income families who qualified for public benefits but were not getting them. The idea was grounded in research that shows that students who are well fed at home and have access to health care are more likely to attend school regularly and be ready to learn. And each year, tens of thousands of students go without public benefits that they are legally entitled to. There was also a fiscal plus, since CPS gets extra poverty dollars from the state for every low-income student who receives a public benefit. But late last summer, as district officials scrambled to make administrative cuts before the start of the 2015-2016 school year, they eliminated the 10-person Children and Family Benefits Unit, saying it was not vital to the core mission of educating children. CPS officials credited the unit with generating $24 million in poverty money each year,according to the 2015 budget. That’s the cost of salaries and benefits for about 240 teachers. The unit also generated $300,000 to $400,000 each year in Medicaid reimbursements for disabled students who needed expensive medical care at school. Outside grants paid about half the unit’s $1 million operating costs. By not providing the services outlined in these grants, the district is leaving money on the table. Diane Fager, who launched the unit in 2005 and retired from CPS in 2014, says she and others repeatedly told leaders that the unit brought in more money than it cost. District leaders — who face a $1 billion deficit next year — did not respond to repeated requests for comment over the past week, or to records requests submitted two weeks ago. But internal documents obtained by Catalyst suggest that officials now recognize that cutting the unit was a mistake and that they are looking into restoring it in some fashion, although there is no set timeline and some of the unit’s tasks will likely be outsourced. 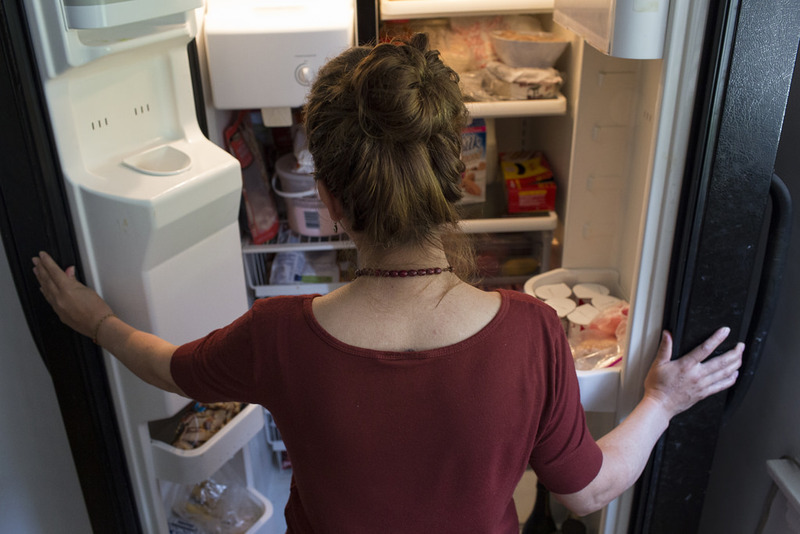 By one recent estimate, some 90,000 CPS students are eligible for but not receiving benefits such as the federal Supplemental Nutrition Assistance Program (SNAP, formerly known as food stamps) or public health insurance programs like Medicaid. The Children and Family Benefits Unit identified schools with high under-enrollment and assigned workers to those buildings. Staff explained the benefits at meetings and worked one-on-one with families on applications, shepherding the paperwork through state agencies. “You know how they treat you there. I was afraid to even go to those offices. And they make you wait hours for somebody to interpret for you,” she said, speaking in Spanish. A few years ago, another parent told her she could get help at her son’s school, Saucedo Scholastic Academy. A bilingual liaison from the now-defunct unit who worked out of that school walked her through the SNAP application and later assisted several of her relatives with their own applications. Juana says she uses the extra assistance — a little less than $200 per month — to buy meat, yogurt and fresh vegetables for her children, items she couldn’t afford in the past. The decision to eliminate the unit was made in what, even by Chicago standards, was a chaotic moment. Forrest Claypool had just been named CEO of schools, and had pushed through an operating budget that depended on a wish: an extra $500 million from Springfield. Contract negotiations were heating up with the Chicago Teachers Union. A small group of Bronzeville activists were drawing national attention for their month-long hunger strike over the fate of Dyett High School. And jobs were getting cut left and right, says Taalib-Din Ziyad, vice president of SEIU Local 73, which represented the unit’s school-based liaisons. The unit’s manager remained at central office — despite not having any staff left. According to budget documents, the unit helped around 8,000 families apply for benefits, with most families having more than two children. Even more families that were already receiving benefits got help completing the complicated paperwork to stay on the rolls. Cutting the unit may help explain a sudden decline in the district’s internal poverty count,which relies in part on current data on public aid recipients. CPS officials have been unable to explain why the count fell by at least 10,000 students this year — more than twice the drop in overall enrollment — and have ignored repeated requests for school-level data. A competing Health Department initiative? At the same time the unit was being scaled back, it was also assigned to help the city’s Health Department on a similar initiative to enroll CPS families in the state’s All Kids health insurance program, which is funded through Medicaid. Health Department officials spent more than $1 million, mostly from a private grant, on the initiative. The goal was to enroll 4,000 families but the final count by the end of 2015 was just 1,400, according to internal records and interviews. LISC Chicago, hired by the city as the project’s lead organizer, subcontracted the work to four community-based groups: the Southwest Organizing Project, Logan Square Neighborhood Association, Enlace Chicago and the North River Commission. The organizations got involved because they believed the project would complement the existing work of the CPS unit, several representatives told Catalyst. And they were dismayed when the unit was eliminated last August. Similarly, those inside the CPS unit viewed the outside initiative warily. Cawley left CPS last September and did not respond to repeated requests for comment. The unit’s former workers say they still worry about the families that came to rely on their help to continue receiving their benefits. Meanwhile, a similar state-funded program to increase awareness and enrollment in public benefits programs specifically among immigrant families was not funded this year due to the budget impasse. That means there are fewer organizations doing this work in Chicago. 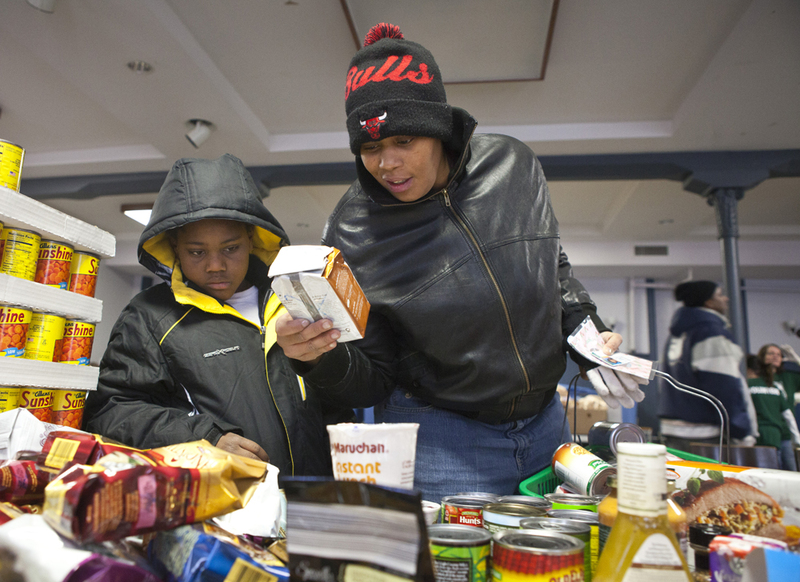 On the web site and on its hotline, CPS refers families who need help enrolling in SNAP benefits to the nonprofit Greater Chicago Food Depository, which last fall began offering enrollment help at 13 schools where it operates food pantries. CPS is in conversations with the Food Depository to formally take on SNAP enrollment at schools. That work could be partially reimbursed by U.S. Department of Agriculture grants that once helped fund the CPS unit but are now being unused. In a recent grant report connected to the Health Department initiative and obtained byCatalyst, city and district officials seem to acknowledge that cutting the unit was mistake. “Due to the loss of a dedicated benefits unit, increasing non-enrollment, lack of awareness of eligibility requirements, and persistent barriers to coverage, the need to extend outreach and enrollment assistance is more pressing than ever,” according to the report. The report goes on to say that CPS is hoping to rebuild its Medicaid enrollment work in order to recoup “75 percent of $4.7 million … of Medicaid reimbursement allocation that CPS loses annually.” Earlier this month, the district received a $436,000 grant from the federal government to enroll students in Medicaid and SCHIP, the State Children’s Health Insurance Program. Aside from Chicago teachers, thousands of Illinois public employees have worked without contracts for over a year as the governor remains hostile.